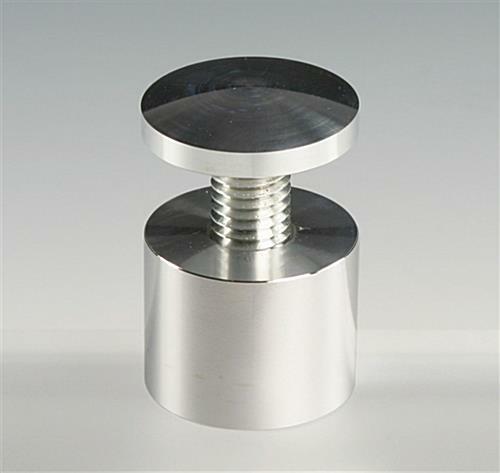 Size (Diameter x Depth): 1.25" x 1"
0.625" x 0.625" 0.625" x 1" 0.625" x 1.5" 0.625" x 2" 1" x 1" 1" x 1.5" 1" x 2" 1" x 2.5"
1.25" x 1.5" 1.25" x 2" 1.25" x 2.5"
Aluminum standoffs are expertly machined to provude the best goods possible. 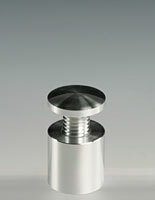 The 1-1/4 wide fastener has a finish that is bright and polished and will add class to any display. 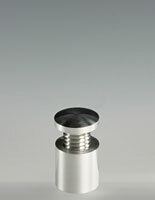 Spacers are easy to used and also have afforadable pricing! The threaded standoff, such as a sign support, is a logical, affordable, and stylish selection for any modular sign. 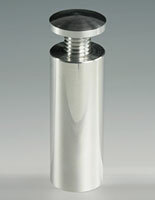 The aluminum mount gives a sophisticated look to any display. 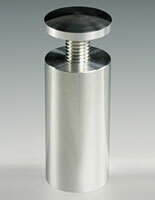 The threaded standoff also makes changing or moving signage very easy. 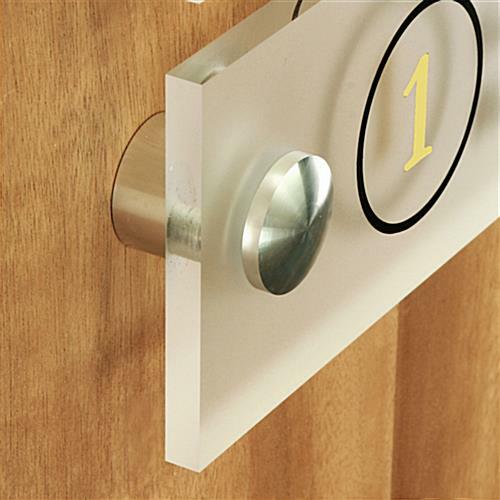 The sign hardware is useful for many different applications. 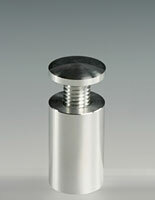 The threaded standoff is the perfect choice for hanging room numbers in hotels or hospitals. 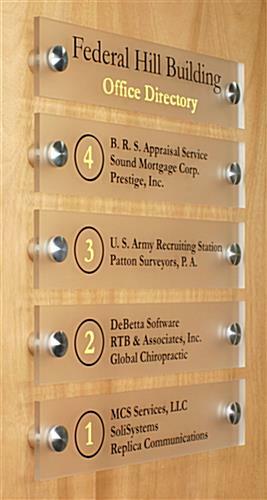 The display mount is ideal of suspending maps or directories in lobbies or creating shelves in stores. 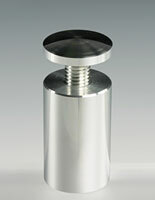 The threaded standoff is the new innovative way to hang signage. 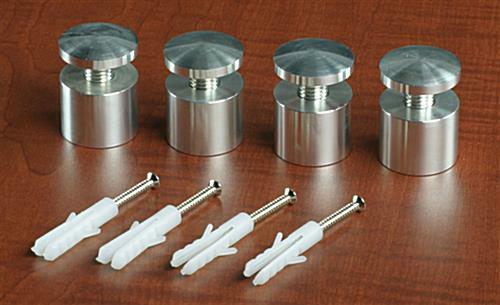 All of the necessary mounting hardware that is needed to assemble your display are in included with your purchase, as well as detailed instructions to help mount your signage. 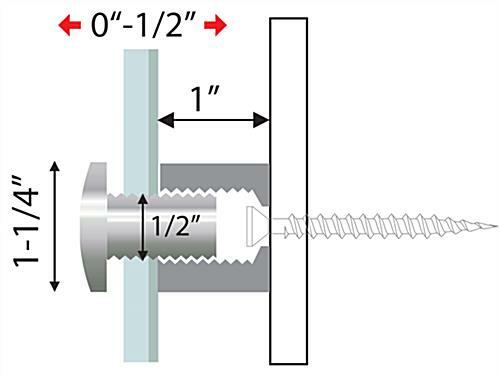 The threaded standoff requires that 1/2" holes be drilled in your display before it can be hung. Then, attached the barrel of the unit against the wall, place the custom signage over it, and then screw on the cap until it is hand-tight to hold the display together. 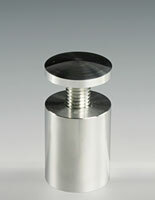 The threaded standoff can support any sign up to 1/2" thick. This polished sign mounts will add a bit of class to any décor.